In this Open Access Special Report, Paul Hourd et al. (Loughborough University, UK) utilizes the manufacture of a customized, 3D-bioprinted nasal implant as a well-informed but hypothetical example of how 3D-bioprinted tissues and organs might be regulated. Additive manufacturing for 3D medicinal products and devices is gathering momentum, but are existing frameworks sufficient or appropriate? In this Open Access Special Report from Regenerative Medicine, Paul Hourd et al. 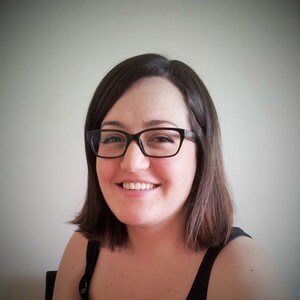 from Loughborough University (UK) use as 3D-printed prosthetic nasal implant as a hypothetical exemplar of a 3D functional living construct to discuss the regulatory challenges posed by 3D bioprinting and its ability to create customized cell-scaffold products, which are personalized by geometry and constituent cells. Hourd P, Medcalf N, Segal J, Williams DJ. 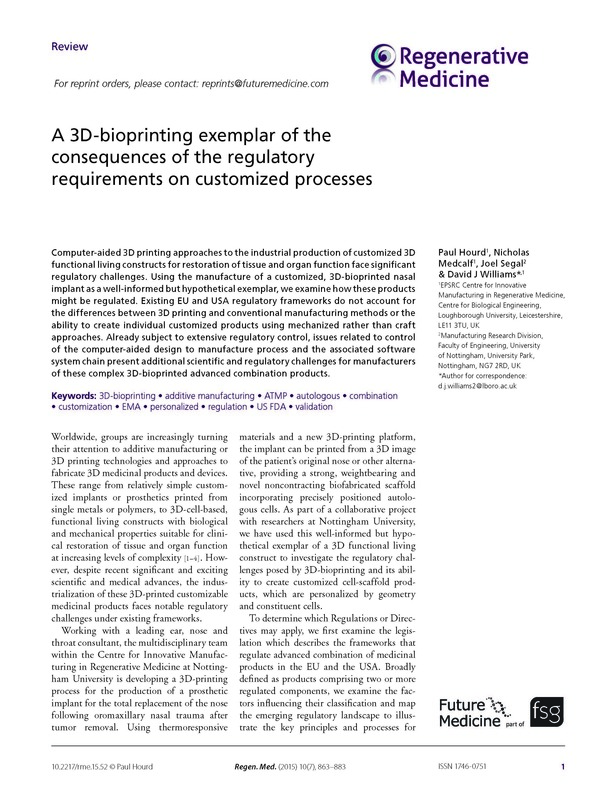 A 3D bioprinting exemplar of the consequences of the regulatory requirements on customized processes. Regen. Med. 10(7), 863–883 (2015).